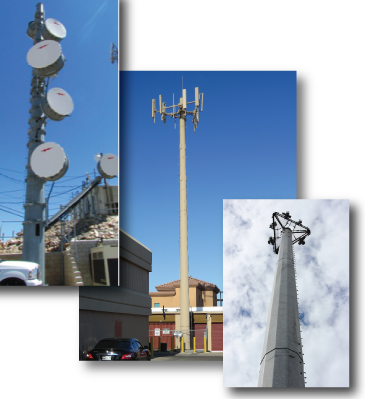 Western Utility Telecom’s self-supporting tower line is designed for efficiency and ease of installation. Tower sections are constructed using pipe, tube, solid, or angle members. 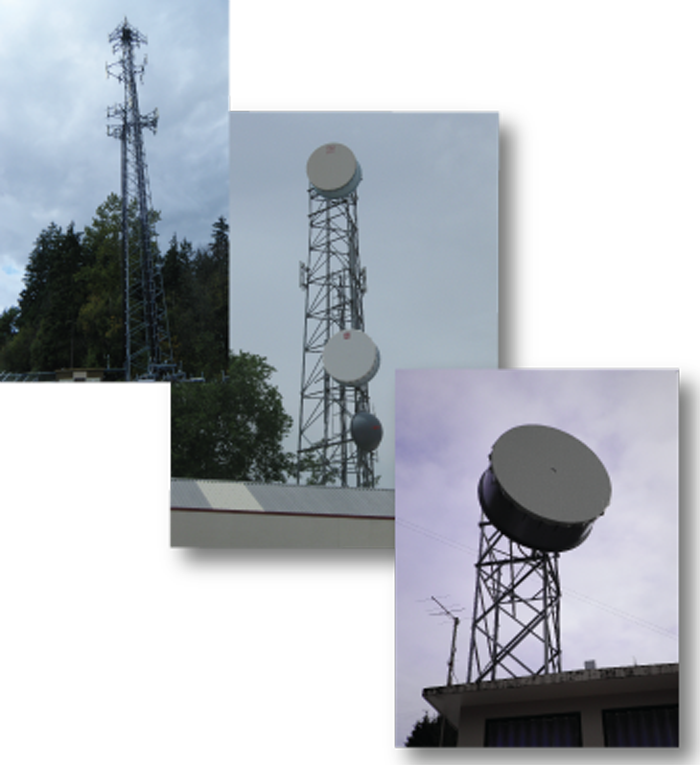 Our engineers select the appropriate tower design to accommodate the customer specifications and application. Upon request, Western Utility Telecom provides step bolts on each tower leg, on sections with face widths greater than 13’ to accommodate your installation crew. We also offer a wide range of microwave and cellular antenna support systems as well as coax and cable support. 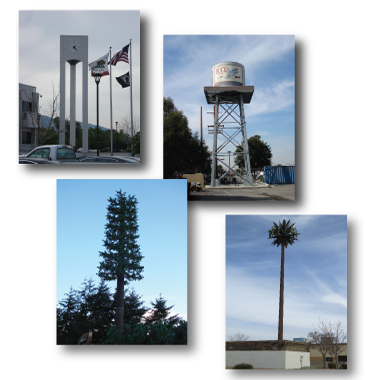 Western Utility Telecom, Inc. designs and manufactures both pipe poles and tapered tubular monopoles. 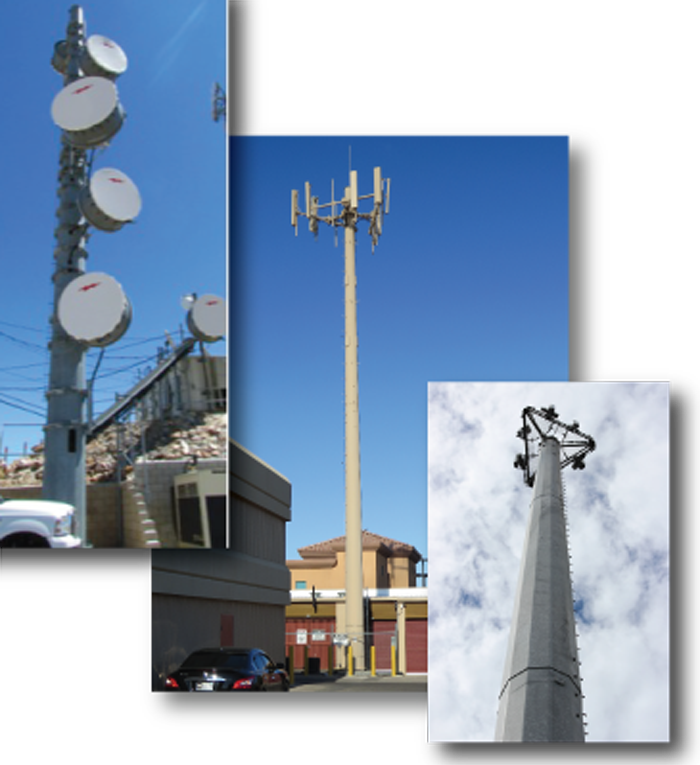 Our poles are typically designed for multiple users and other telecommunication applications. Whether your application requires slip-joint or flanged sections each pole is designed specifically to the requirements of your project. Access ports are designed and located as needed for the locations of the required carrier elevations. Each pole is equipped with tie off anchors at each carrier location and slip joint region for the safety of the installation crew. 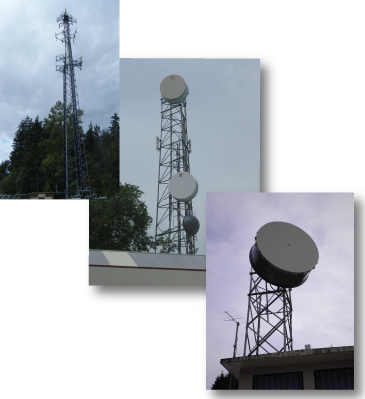 Western Utility Telecom, Inc. designs concealment structures for the telecommunications industry. 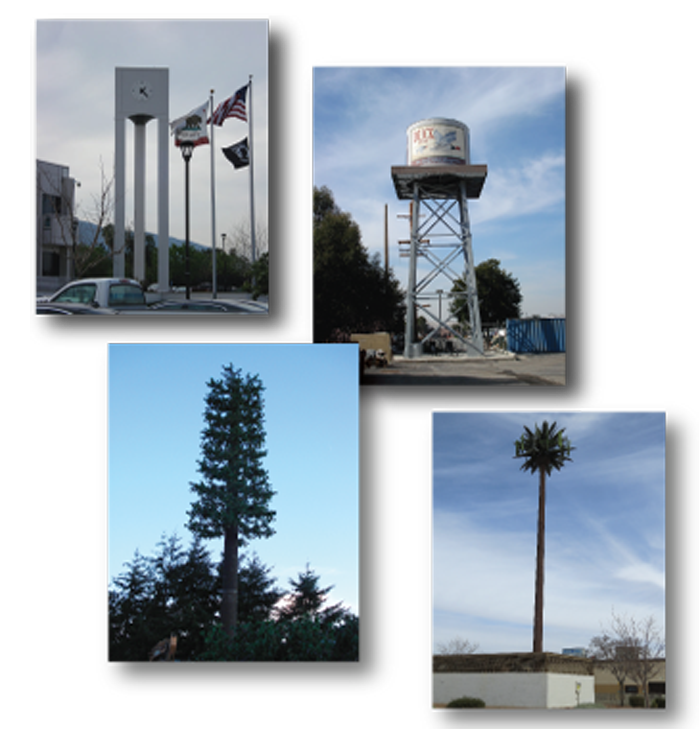 We offer palm tree, pine tree, and flag pole structures, along with clock towers, bell towers, and other concealing structures used in sensitive jurisdictions where typical monopoles and lattice towers are highly discouraged. Our services include engineering, design and manufacturing of concealment structures.